Gone are the days when you once needed hard connected cable wires running from the wall to your computers for Web access. Doing so created a hazardous tangled mess of wires going rampant. Just a few strategic cables are now possible because of the convenience of wireless access. You can now easily connect all of your devices, ranging from, your desktop, your printer, smartphone, tablet, and gaming devices, all running from one outlet. This also allows you to get rapid speed Internet access from anywhere in your home, securely. All what’s required is setting up your own private WiFi network, so that means no more annoying strands on cords, cables, or plug-ins that’s needed. You can easily do so by setting up a secure WiFi in your home with a few pieces of hardware. Most likely, you have multiple computers in your home scattered in different locations, which also includes laptops, portable devices and gaming boxes. They’re also forever in constant use and movement anywhere in the house, and are all wanting access to the Internet. If this is the case, then WiFi is an excellent option for you. You can then cater to fulfill everyone’s needs without the need or worry about constantly plugging in cables into one port, or having to share the one computer that’s connected to the Internet. WiFi allows you to connect to the Web from practically any device, or entertainment system which needs a feed. The advantage of wireless is the convenience of wirelessly connecting all your various devices from your modem. What a wireless router can do is electronically beam a signal direct to each and everyone of your devices simultaneously, anywhere in your home or office. You can also keep the router and modem discreetly tucked out of the way, and then enjoy the freedom of roaming anywhere in the vicinity while easily and securely accessing the Web using your hardware device. Once you’re at the stage of purchasing a wireless router, know that almost every router on the market is practically compatible with any device that has wireless capability. The main difference being that the 802.11 b/g routers usually have a maximum bandwidth of approximately 56Mbp, (megabits) per second. The 802.11n routers on the other hand, have a maximum bandwidth of 600Mbps, a significant difference. 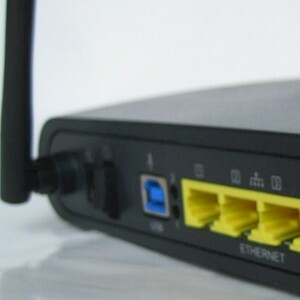 However, the downside of the 802.11n is that they’re not backward compatible with any of the 802.11 b/g devices, which includes older laptops, wireless printers, and some desktop computers. Currently, you’re able to purchase 802.11n routers which can also support 802.11b/g standards, but you’ll just receive the 56Mbps bandwidth speed. What you also need to ensure is that your device has wireless capability. Most of the newer desktops or any other device, which are a few years old should. Also, know that these wireless routers are only compatible with high speed Internet connections, such as DSL or cable. Once you plug in your wireless router to your Internet modem, and the software is installed, the best way to test whether you have a strong WiFi signal is to use a laptop or a tablet and try picking up the signal from different areas in your home. Also try going outside in the yard or in the garage too see if you could access the Internet from there. If the signal happens to be weak, then try moving the router to a better open location. Once the router is connected, open the Internet browser and then setup secure usernames and passwords. This will prevent others, such as your neighbors from “piggybacking” your wireless connection, which is a common occurrence. So make sure that you choose uncrackable usernames and passwords. One of the best things when it comes to video game playing and entertainment systems is that they’re able to connect online, giving you the ability to play with others who has an Internet connection. So once your WiFi is setup in your home, turn on your gaming system and configure the settings for Internet connection. Select the wireless settings and then follow the steps. Your username and passwords should always be a combination of letters and numbers, and should be at a minimum 8 characters in length. Never use anything obvious such as your last name, your birthday, or street address. What you don’t want is someone to guess your password and then hack into your system, or freeload Internet access on your behalf. A good method is by substituting certain letters and then using characters. For instance, “Before Time To Begin” could become B4Time2B.